Pharmaceutical Machineries, Kitchen Equipments , Machinery Mfrs. and For All Engineering Industrial Needs company . 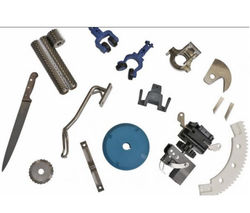 Our Components exports to countries like USA, UK, GERMANY, ISRAEL, PORTUGAL . CNC PLASMA CUTTING MACHINE /CNC BENDING. DEEP DRAWING PRESSES , STAMPING PRESSES ETC. high accuracy with prompt services in low/high (Bulk) Quantities Supply. We Offer BEST Rate in LONG TERM Business Tie Up. Please Send Your Valued Requirements in DXF/DWG format Drawings. We Look Forward to Business association With You for Long term. We undertake MS Plate Cutting in non ferrous and ferrous items i.e stainless steel aluminium and ms according to your requirement. 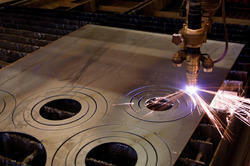 We offer laser cutting services for prototyping, small volume production as well as production line integration. This helps in leading to overall cost saving and further helps in enhancing production efficiency as well as accuracy of finished products. We provide service for laser cutting, cnc bending and Metal fabrication work in best economical rates.